Have you recently lost your social security card? If so, you should know that this incident could have serious, long term consequences. Why? Once someone has gotten access to your social security number, there are many ways that can make your life more difficult. When a criminal obtains another person’s social security information, one of the first things they tend to do is start opening credit accounts. By the time you are aware that someone has been using your account, they may have charged thousands of dollars in your name that, according to credit card companies, you must pay back. An identity thief can also receive medical care by using your name and social security card. There have been several news reports about companies that maintain medical records being hacked, and data breaches were done to obtain patient information. Once someone has your social security number, your medical history and credit rating can both go down the drain. Someone could use your social security number and undergo medical procedures that could cause a blemish on your medical record. 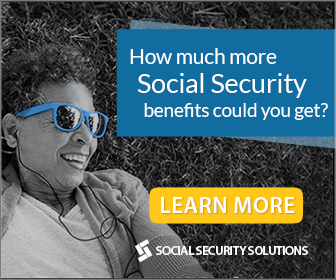 You could even be denied health insurance or receive the wrong medication based on the incorrect information added to your medical record through your social security number. Illegally obtaining and using your social security numbers are crimes within themselves. However, the person who stole your social security number could use it as part of their identification if they get arrested. This means that your social security number would be linked to additional crimes that you were not a part of. Finally, an identity thief can use your social along with your name to collect government benefits like unemployment in your name. They can even divert your social security benefits to another checking account simply by contacting SSA (Social Security Administration) and pretend to be you. It is possible for identity thieves to use a social security number for years without being detected. Check your credit report regularly and look for red flags.